Pastor Matt Jones is the Lead Pastor of TREES Church. Along with his wife, Jes, Pastor Matt has served in various positions in ministry for the past 17 yrs. He attended Southwestern Assemblies of God University in Dallas, TX, served 3-1/2 years in Ionia at Restore Church as the Youth and Children's Pastor, served as a pastoral assistant through a Radiant Church satellite campus and served as a facility director for Life Church in Olathe, KS. He and his wife Jes have 4 children, Caleb, Joshua, Evelette, & Beniah. They felt the call of God to move their family to this area from Kalamazoo in 2011, and haven't looked back since. They believe with all their heart that God has called them here to help re-define church in this region. Too many people have a wrong definition of what church is or who God is. TREES Church's mission is to help people see a true, biblical definition of who God is and what church is suppose to be, not what man has created it to be. Pastor Matt LIVES to see people discover their giftings & talents and then be released in them to serve the purposes of God in this area. EVERYONE has a specific purpose & destiny to fulfill and their goal is to see that happen in their lives. He loves spending time with his girlfriend since 2003, Jes, and his 4 kids. He also is an avid outdoorsman. He loves to hunt, fish, and just enjoy God's beautiful creations through nature. He is a visionary leader with his eyes always on the future, planning and praying for the next steps God would have him take to see the Kingdom of God expanded in this region. Pastor Jes is wife to Pastor Matt & momma to 4 bright kiddos. She has a passion for cross cultural ministry and people from every track of life. We think of her as our people person. 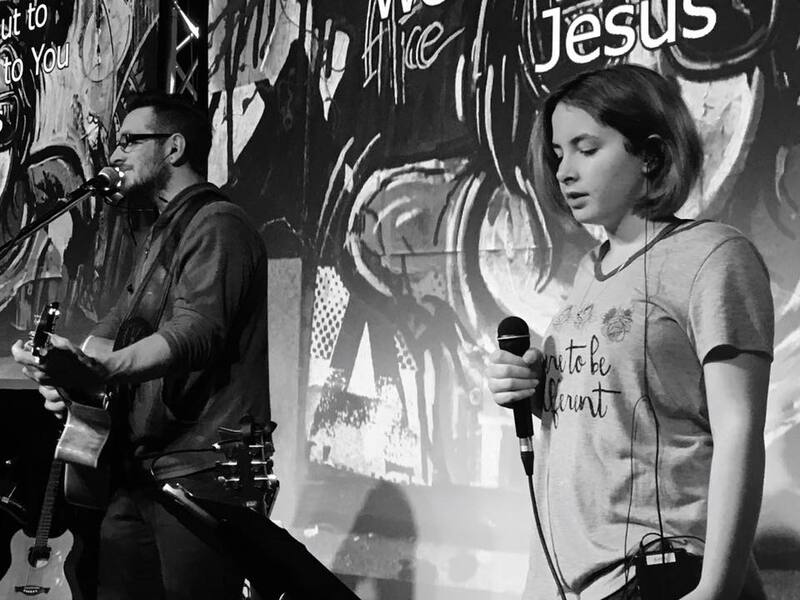 You’ll find her serving our leaders, occasionally preaching, counseling, and delegating as we all work hard to help people find their niche at Trees Church. She has served in full time ministry for over 20 years- from a zealous teenager tracking the globe in missions work, serving in various youth ministries to a wife, momma & now a pastor on staff here. Pastor John has been a life long friend to Pastor Matt. They’ve served together in different ministries across the state over the last 12 years. Pastor John works full time in commercial construction & also runs a side business designing salvage and vintage pieces into functional art @ Revive Design. He is known for his love to worship God and has lead or been on a worship team since he was a teen. We’re blessed to have him lead our worship team here! Pastor John & his wife Karie have 4 amazing kiddos that they homeschool as well as lead a simple and beautiful farming homestead. 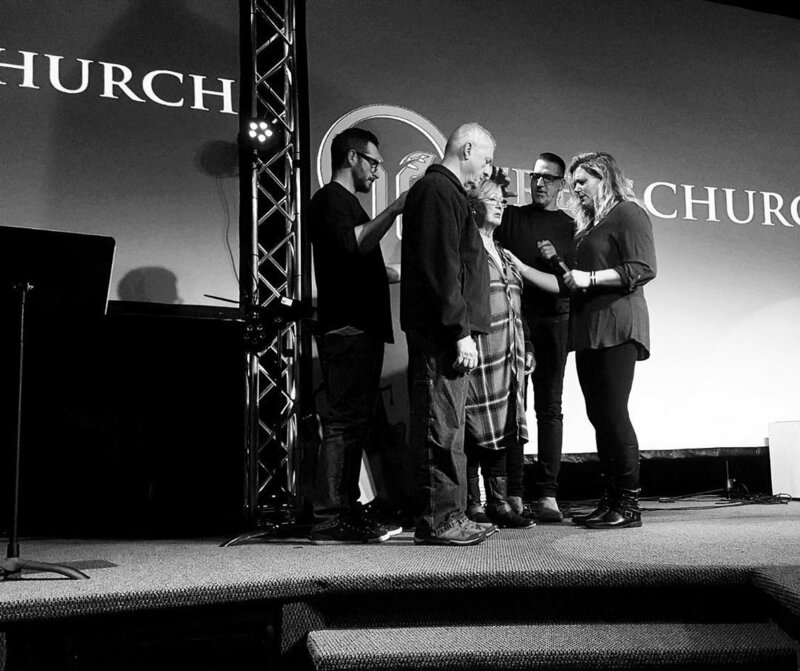 Pastors Jerry & Barb Solly have been a part of the mission at Trees Church since 2015. This powerful couple have served the Lord and the church faithfully over 40 years. They’re known for their love for life & passion for prayer and the Word of God. We call them our Goliath’s in the faith. You need a mountain moved in prayer? Pastor Barb & Jerry, they’ve got your back. From wise counsel in life and marriage, to understanding the Word of God, & teaching others how to pray and overcome life’s obstacles - the tools this couple brings to our community are indispensable! They’re available for prayer, counseling, hospital visits and more. Meet Kelli! We have a nickname for Kelli- Houston. Not only cause she's all Texan but because as Houston is to NASA so Kelli is to Trees Church! She is married to Jerry and also has 2 “big babies” as we lovingly refer to them - Jaden and Jackson who are students at Grace College & Theological Seminary. She works full time at Bradley Doors in Fremont IN & is also a relator. Kelli is passionate about bringing women together in friendship and meaningful connection in the sisterhood of faith in Jesus Christ. It takes a community to pull off all the roles a woman fills and we don't have to do it alone! Bob and his wife Carol have been married for 43 years! Their love for the Lord and commitment to the body of Christ is a beautiful testimony to staying rooted in commitment and to the love of Christ. Bob also served as a mail carrier for 40 years before retiring. He currently works as a real estate agent and serves @ Covenant Church keeping the administrative side of things up and going. Bob & Carol are also Pastor Matt's parents! He and Carol are fun loving grandparents and we are blessed to have them on the team!